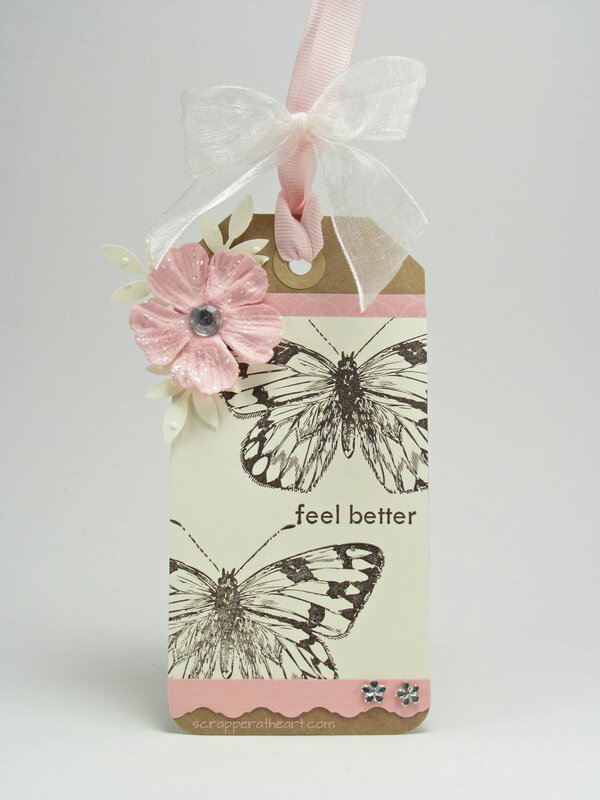 Categories: Cards | Tags: Card making, Cards, rubber stamps, Stamp TV Challenge, stamping, Sympathy card, Thinking of you | Permalink. 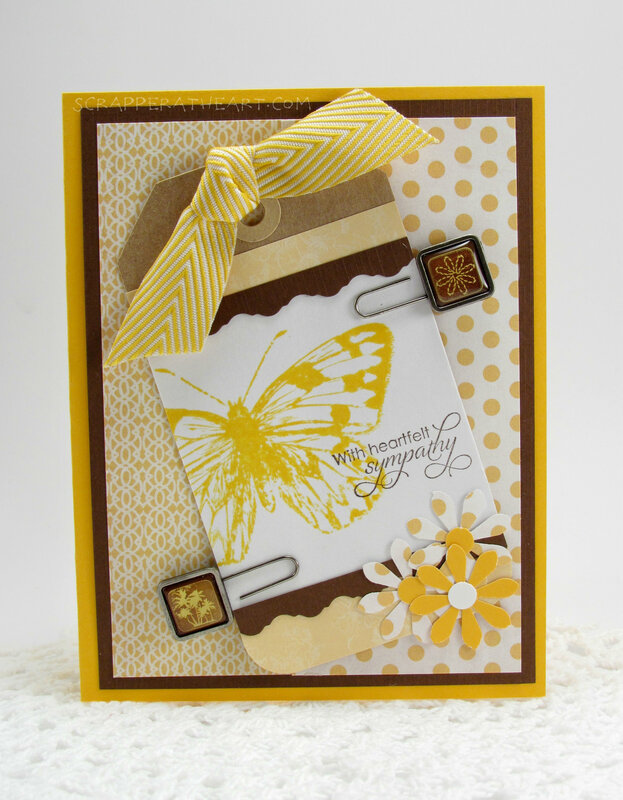 Hello Friends, I am thrilled to be hosting the Mix it Up Monday Challenge over at Stamp TV. Thanks Karen for asking me! When I looked at the date that my challenge was going to go live and it was close to the Fourth of July,the fourth kind of stuck out in my mind. So, I though it would be fun to divide the focal point of my card for this challenge into fourths. I have two cards for this challenge as I was in the need for two thinking of you cards for both of my sisters. 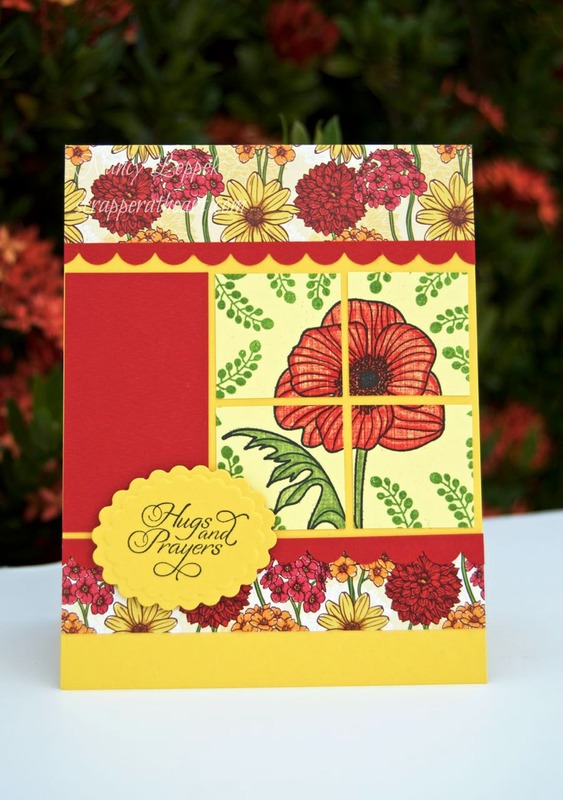 The flower stamp and the sentiment is from Gina K designs, but sadly the set I chose to use (that is one of my favorites I might add) is no longer available, but it is called Hugs and Prayers. The background leaves are from the set called Flowers Bloom. 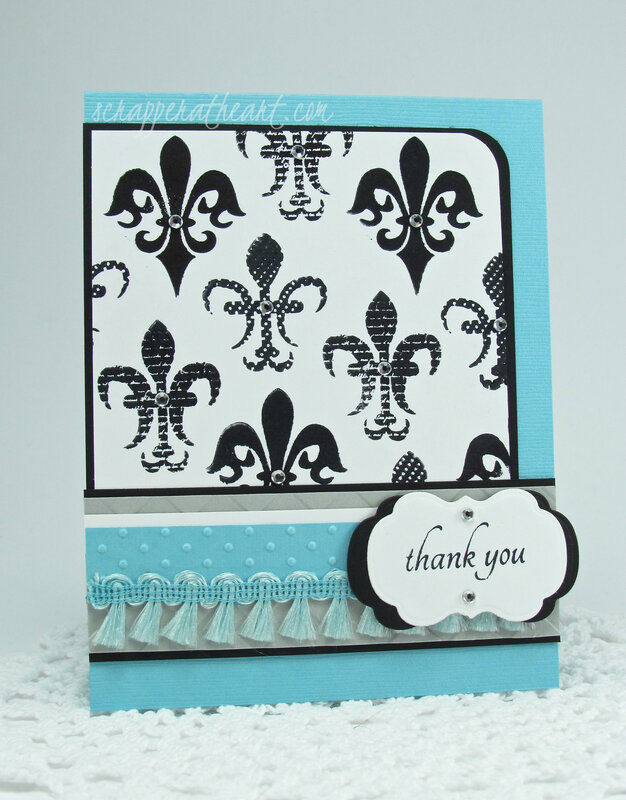 The cardstock and Design Paper is also from Gina K. The scalloped border punch is from Stampin Up. I colored the images with colored pencils. I thought I did and okay job until I saw the photos…don’t look to closely. 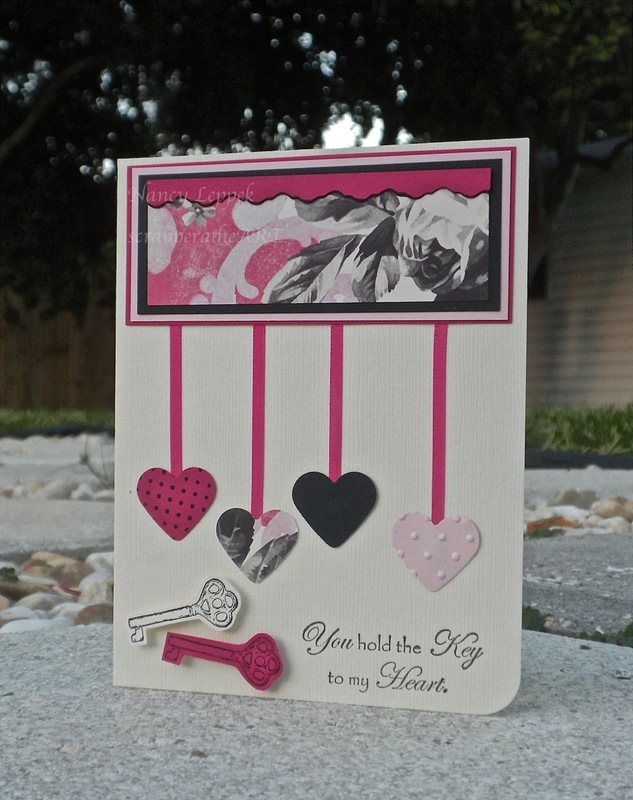 Categories: Cards | Tags: Card making, Cards, Gina K designs, rubber stamps, Stamp TV Challenge, Thinking of you | Permalink. Hi Friends, I have a lot to share with you today! what challenges I am linking it up to! 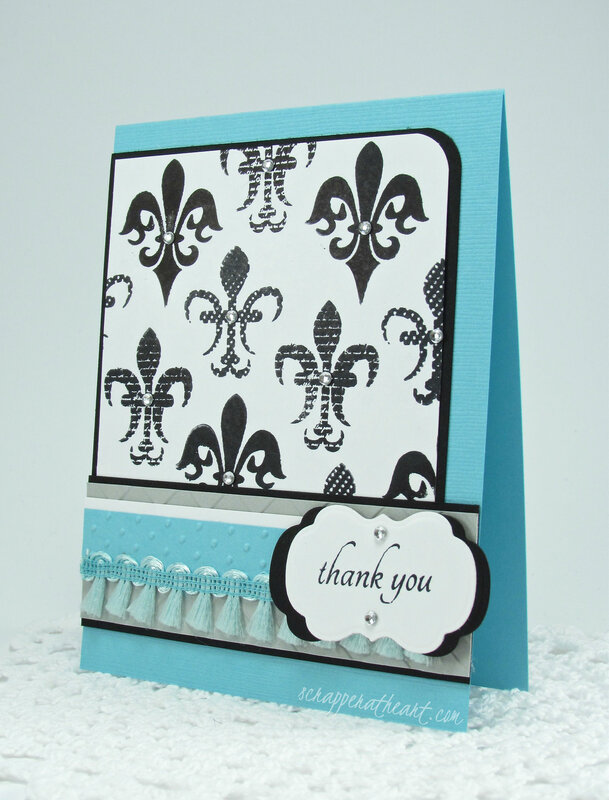 This stamps set is from Gina K Designs over at Stamp TV and is called Fleur di lis. I LOVE it!!! I have it linked up for you! I must say I was pretty happy with this one…which is nothing I get to say all to often! Great Inspiration Photo chosen by my Teammate Marisa over at Just Us Girls. It all started with this great clean Sketch over at Freshly Made Sketches. which is being hosted by my BFFIBL and fellow teammate times 2 Sharyn! Now onto some Personal FUN I have had over the past month! 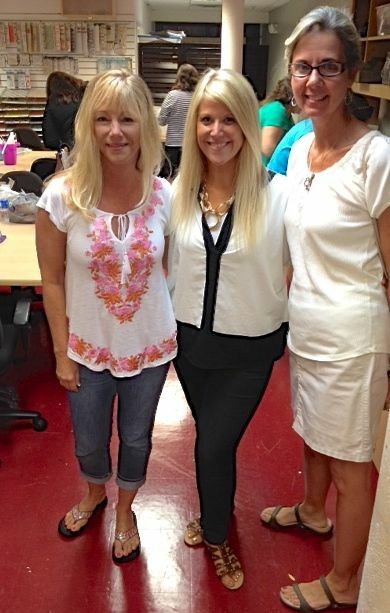 were going to be featured the next day on HSN. I had a really great time! She was very sweet and very talented! Horrible photo of me! YUCK! is the most faithful, resilient, and upbeat person I have ever met. I admire her more now then I did before! 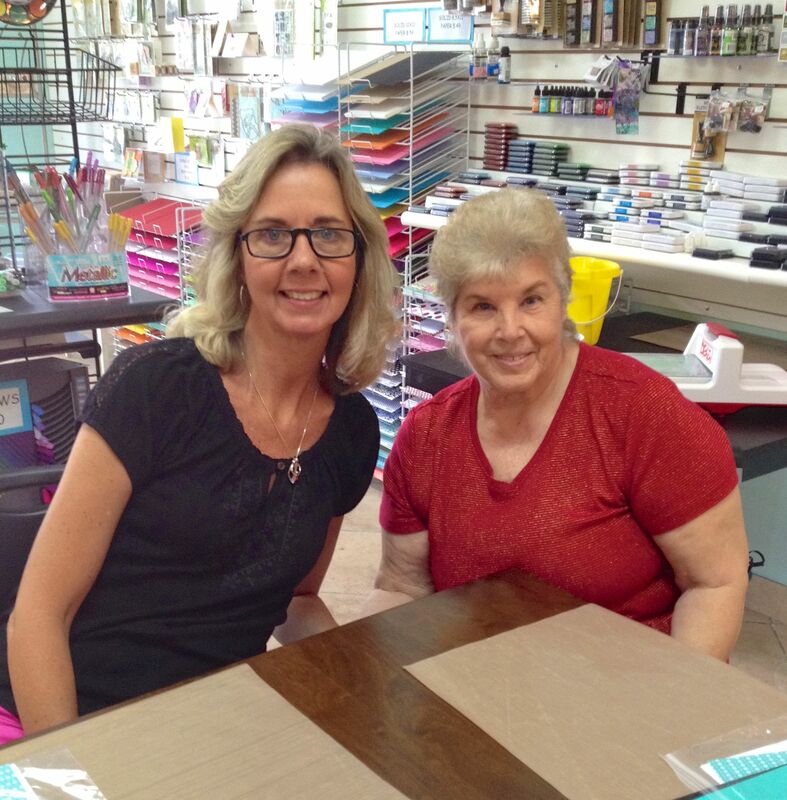 We met for lunch, took a Stamping class at a local craft store, and then went shopping. It was a wonderful day and one I will cherish! Thanks for letting me share some personal stuff too! 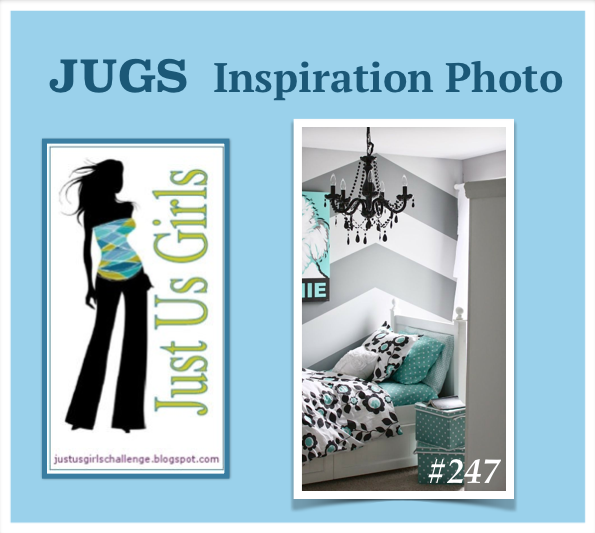 Now, Please head on over to Just Us Girls and see what my talented teammates did this week! Talk about some serious Eye Candy! Shirley -Bee. You were a joy to work with! 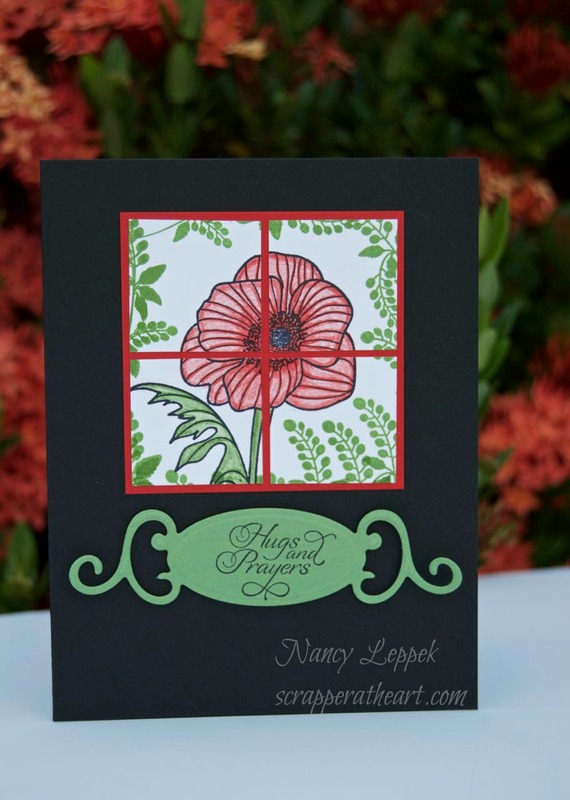 Categories: Cards, Other | Tags: Card making, Cards, embossing, friendship, Gina K designs, Inspiration, rubber stamps, sketch challenge, Stamp TV, Stamp TV Challenge, stamping | Permalink. 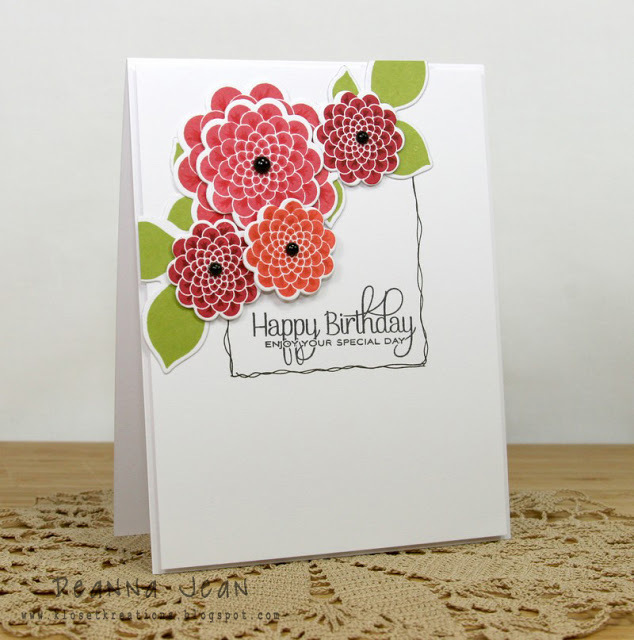 Today the card I have for you is for a Mix it Up Monday Challenge over at Stamp TV. I saw her challenge to use metal of some kind it was meant to be! I also wanted to show you where my inspiration came from to make this card! I told her I loved it when I saw it on her blog so she sent it to me! She is such a dear sweet person and I am so glad our paths have crossed! go and check it out and leave her some love! Now, Here is a link over to Stamp TV so you can join the challenge there as well. 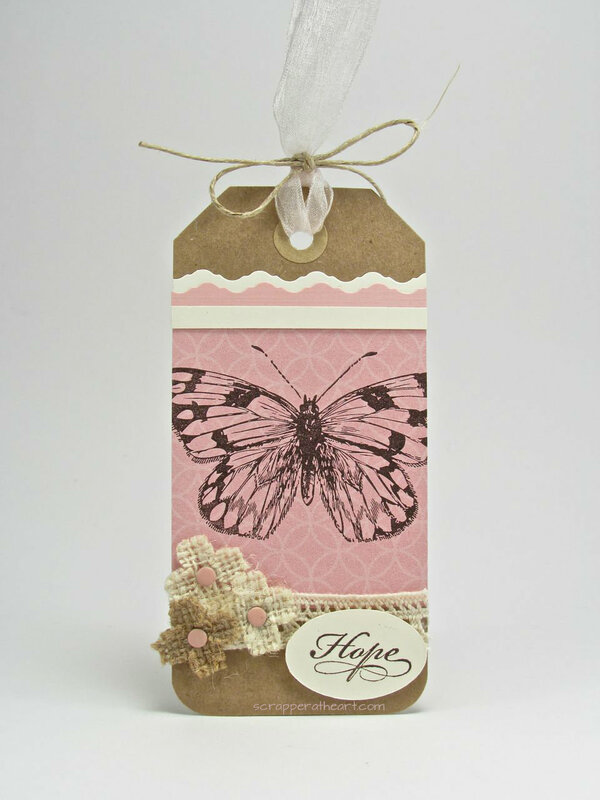 Categories: Cards | Tags: Card making, Cards, Gina K designs, rubber stamps, Stamp TV, Stamp TV Challenge, stamping, Stamping Up, Sympathy card, tags | Permalink. as he headed back to college. I never get use to those good-byes! Anyways, I have a great technique for you that your going to LOVE! It’s called Color on Color Emboss Resist and HERE is the video you can watch by Gina K.
She makes the best videos! 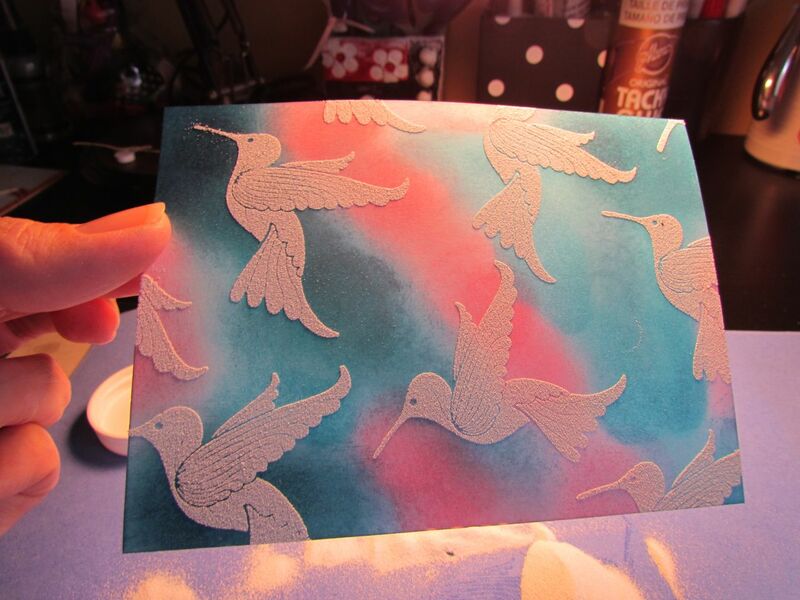 and extra hummingbird for both cards! 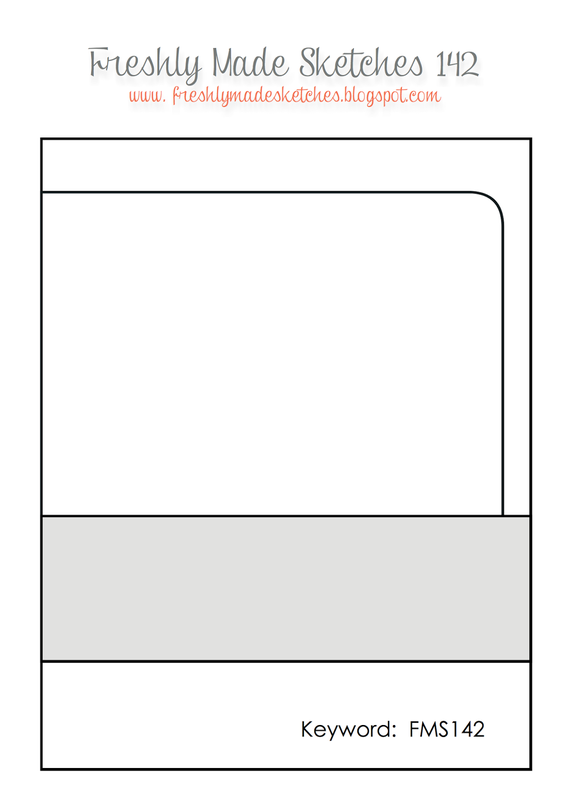 On the second card you can barely see the color blue beneath the white. and knew I wasn’t going to let it go to waste! Love good mistakes!! Here are two additional shots that I took while I was working. 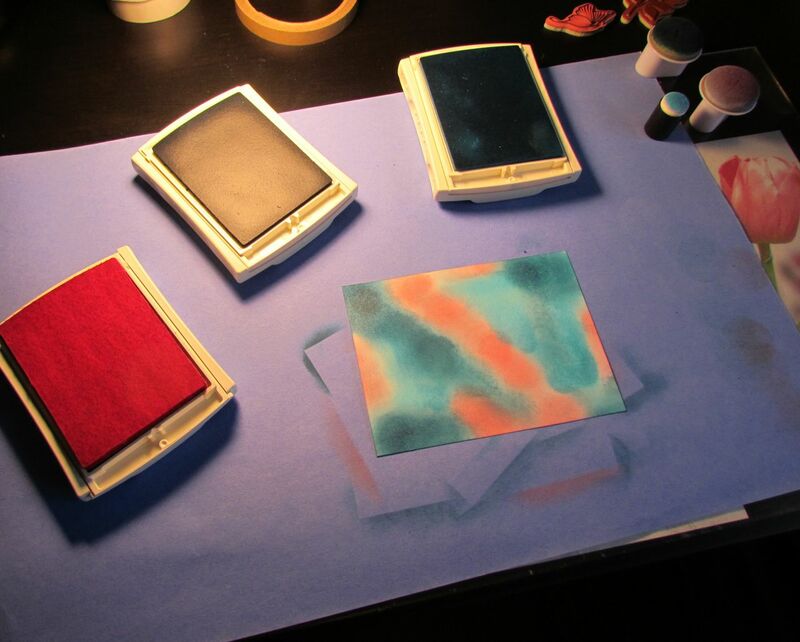 I used SU- Island Indigo, Tempting Turquoise and Regal Rose as my colors. This photo was before I heat set it ! and is retired, but one of my favorites…Hugs and Prayers. The little leaves were made with my Cricut and ran through by Cuttlebug. 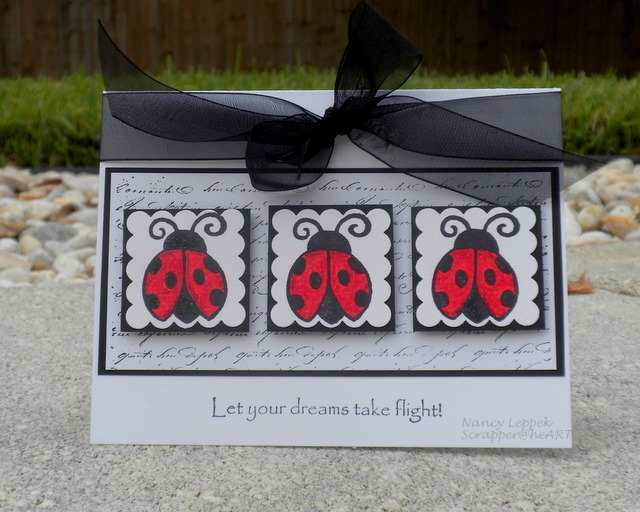 The label die and the border punch is also Stampin Up. Any questions give me a shout out! Come join us over at Stamp TV! Categories: Cards | Tags: Card making, Cards, color resist, Gkd, heat embossing, rubber stamps, Stamp TV, Stamp TV Challenge, stamping | Permalink. than the present to start making some easter cards. The card is for two challenges. Stamp TV’s Spring and Bling challenge. pink bunny in the middle and was going for a wet icing look. I think it came out kinda cute! Back to work I go tomorrow ! I made the paintbrush out of paper. Cardstock is Gina K too. 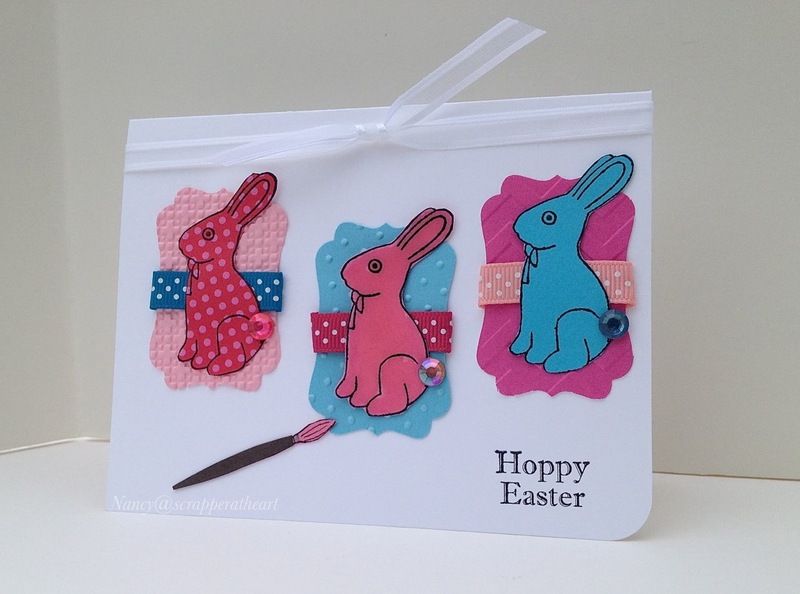 Categories: Cards, challenges | Tags: Card making, Cards, cuttlebug, Easter, Gkd, rubber stamps, Stamp TV Challenge, stamping, Stamping Up | Permalink. MUSE- A source of Inspiration! 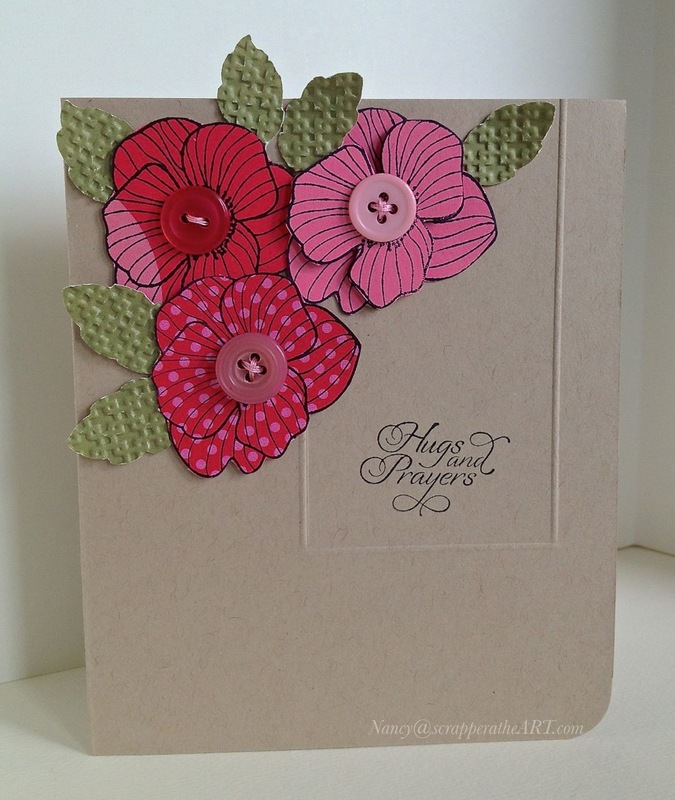 I am Super excited today to share with you my card, but not only that…. and I can’t wait to share it with you! It is called MUSE! At the top of their blog they have the definitions for Muse. One of them states: A source of Inspiration! and another one that I love called CASE(E) this Sketch. and I haven’t even told you the best part yet! *Use the Muse card as inspiration, explain your interpretation and link back to Muse. *Provide supportive comments to at least 3 of your fellow member’s submissions. *Vote for 3 of your fellow member’s submissions that you find inspiring. Isn’t that so cool!!! We the blog followers get to vote! I don’t know about you but, I think that was pure Genius! 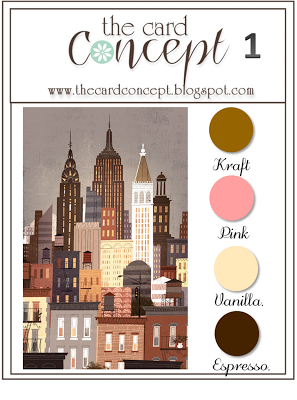 So here is my first card that I am linky over at Muse this morning! I was determined last night to not miss this opportunity again! I used my Scor-pal to mimic the box in the design! of the petals the on the second image! And here is the source of inspiration! 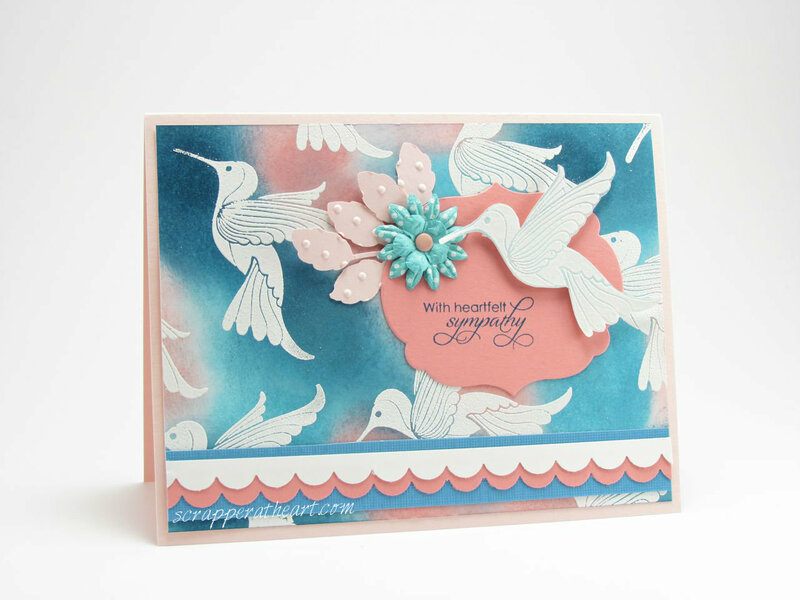 This card is also for a Mix it up Monday Challenge over at Stamp TV. Which was to incorporate at least 3 buttons in your project. I wanted to make sure I played along! 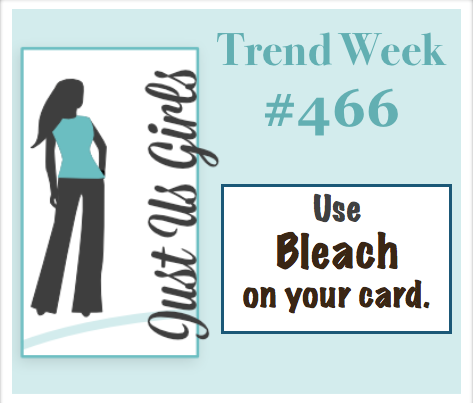 I can never miss a Mix it Up Monday Challenge …They are always so much fun! 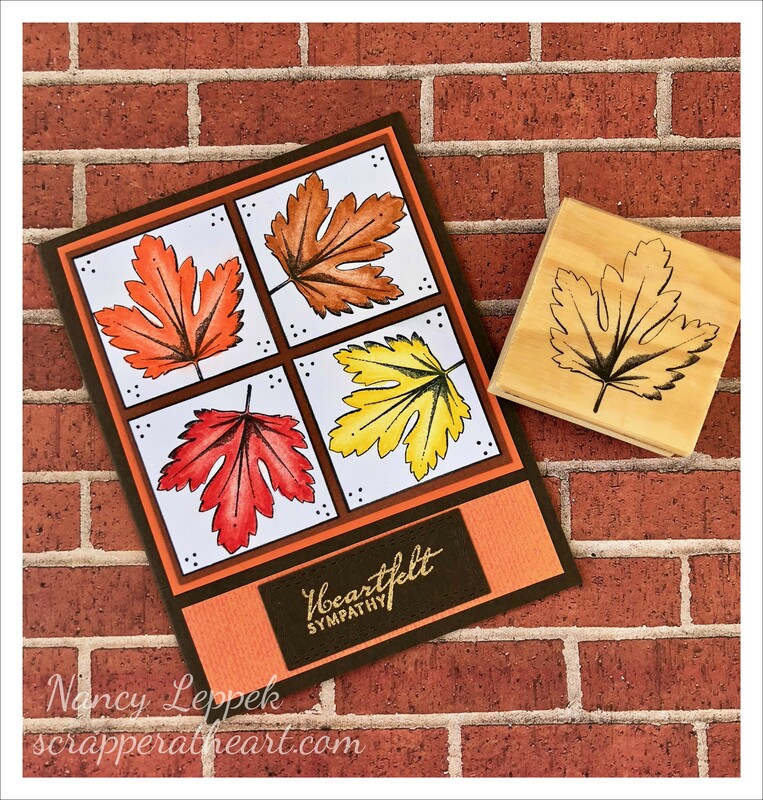 Also, I used one of my FAVORITE GKD Stamp sets…. Hugs and Prayers for this card! This is also my final post over at Crafty Card Gallery as I am the host this week! I am thrilled you stopped by…make sure you check out all the sites that I linked up for you! 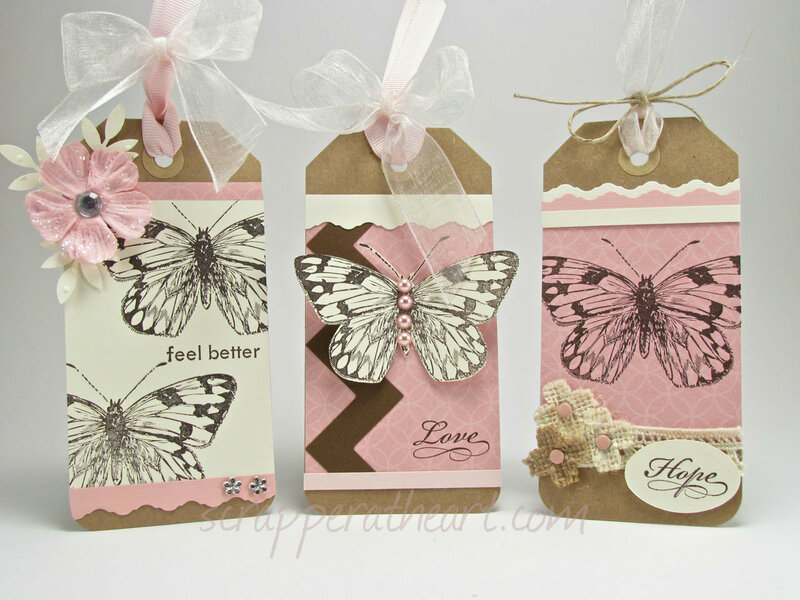 Categories: cardmaking, Cards | Tags: Card making, Cards, Gkd, Inspiration, rubber stamps, scor-pal, Stamp TV Challenge, stamping, Sympathy card | Permalink. 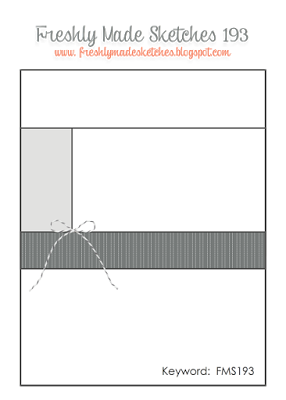 Hello Crafting Friends, Amongst my migraine today… I was determined to make a card and get it posted before night fall. Today’s card is a combination of three challenges: 1. 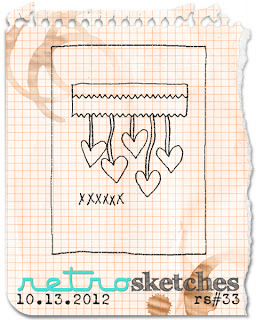 This intriguing sketch over at Retro Sketches, 2. Casual Friday’s asked us to incorporate a heart in our design and 3. 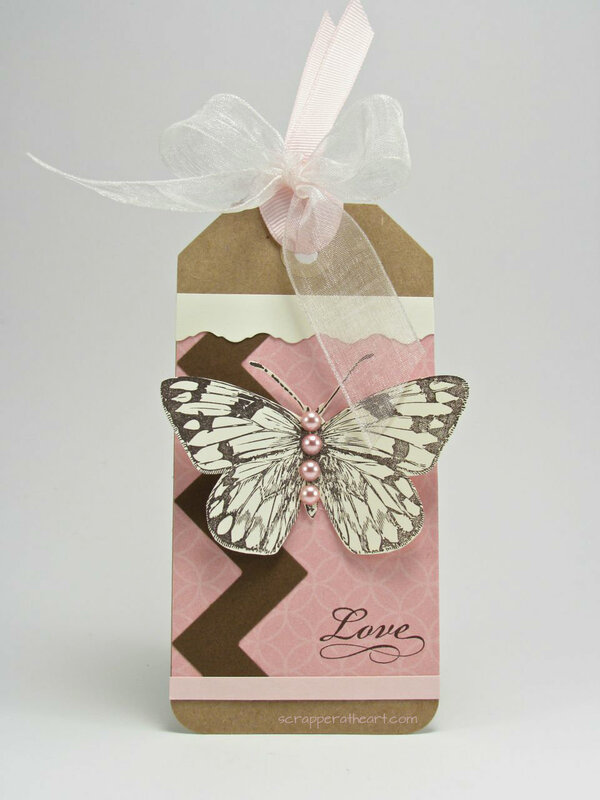 Over at Stamp TV they wanted a CAS card focusing on Pink for Breast Cancer awareness month. My mom had Breast Cancer and I knew I didn’t want to miss this opportunity! The stamps and sentiment are also from Stamp TV and were designed by Theresa Momber and the set is called Timeless Treasures. The DP is my Favorite of all time, and I still have a scrap or two left of it! The rest of the cardstock is a mixture of GinaK , SU, and CM. Added some ribbon and there you have it! Thanks so much for your visit and enjoy your day or night! 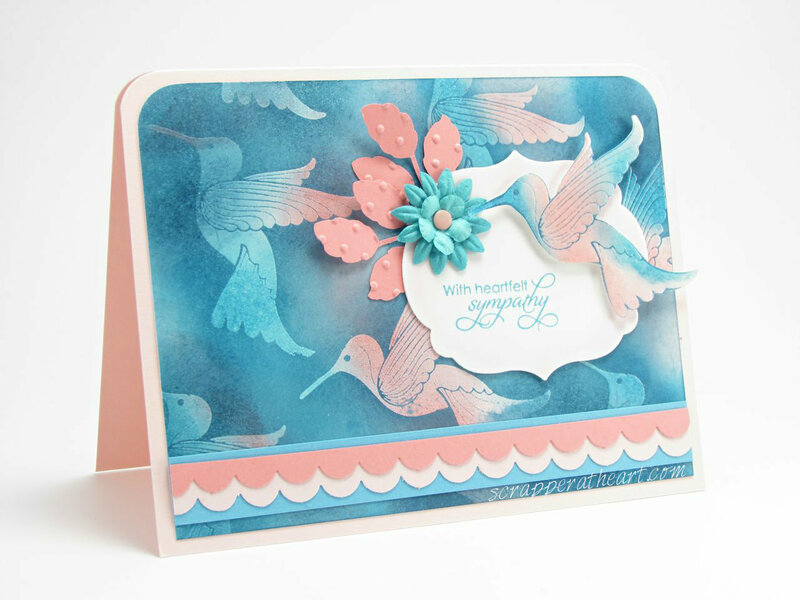 Categories: Cards, challenges | Tags: Card making, Cards, color challenge, Gkd, love, rubber stamps, sketches, Stamp TV, Stamp TV Challenge, stamping, Stamping Up | Permalink. What a day! A 3 mile walk on the beach, followed by shopping with my sister and Starbucks, and then more shopping with my hubby in the evening. I made out like a Banchy! (not sure if that is spelled right) 🙂 I have never gotten so many good deals in one day before! It was amazing! Fun Fun Fun! Now onto the card that I have for you today, it’s for a new challenge I stumbled upon over at Random Acts of Creativity…the site belongs to the AMAZINGLY talented Iwona Palamountain aka “Chupa”. 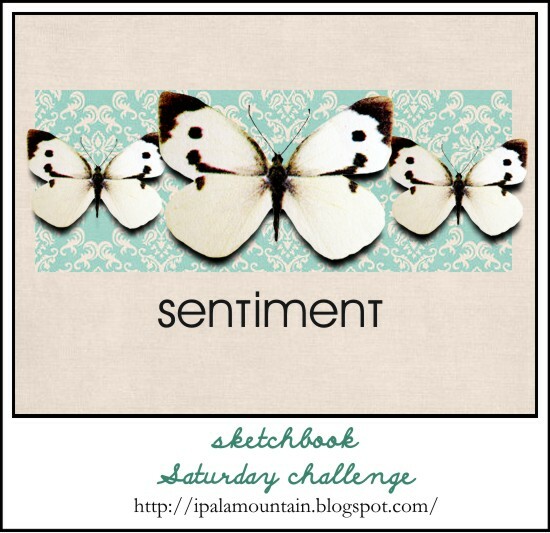 Although I didn’t know she had her own challenges, called Sketchbook Saturday Challenge, I have seen her work many, many times!! It’s drool worthy! Make sure you pop her a visit you won’t be disappointed! 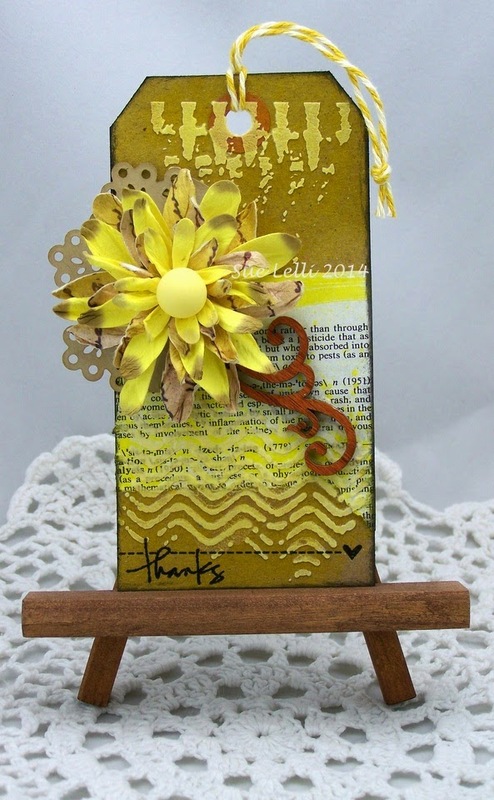 It also goes with a challenge over at Stamp TV…I know I am on that site a lot….what can I say… I love it! They asked us to make a card with either animals or bugs. I have had those 3 ladybugs colored for quite a long time, in fact so long that I do believe they had dust on them. LOL It was time they got used. I think the card works perfectly! Categories: Cards | Tags: Card making, Cards, good luck, rubber stamps, sketches, Stamp TV, Stamp TV Challenge, stamping | Permalink.